There are 34,612 items available. Please enter a number less than or equal to 34,612. THANKS...Check out our other band saw tires and Shopsmith parts listings in our store. Super fast service! Thank you!! Awesome, fixed my band saw. First time I could use the saw since I bought it. Item was just as advertised. Fast shipping. Very hard to install, but once installed a great product. I think it will last forever. Perfect Fit. Does the Job!!! 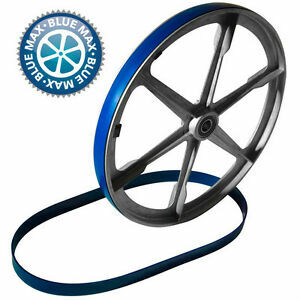 When I need a set of tires for my other band saw I'll be buying Blue Max Urethane. Tires are a little tough to put on, but instructions were very good. Tool sent with tires helped a lot. Tight fit but works great.